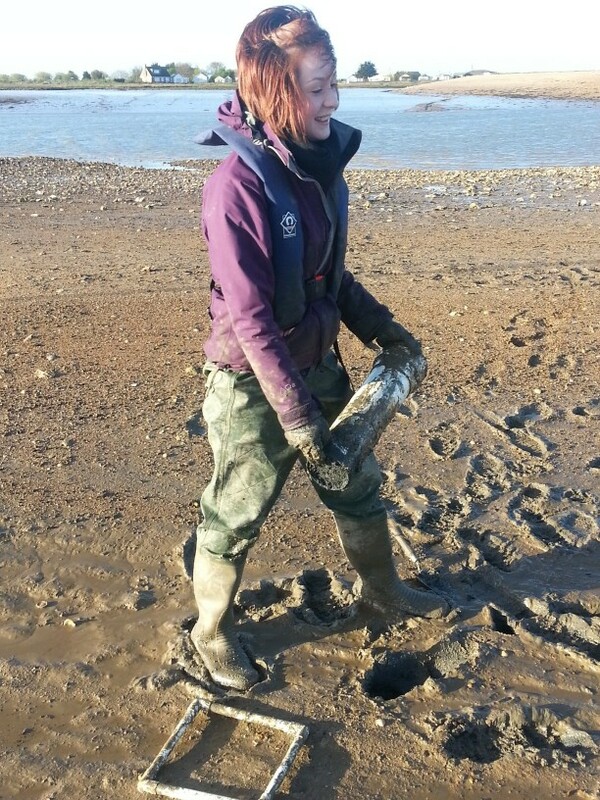 Clare Davies during her fieldwork on the Blackwater Estuary. I am looking into the impact of the invasive non-native Pacific oyster (Crassostrea gigas) on marine biodiversity and ecosystem services. Pacific oysters were imported following the decline of the native oyster (Ostrea edulis) based on the knowledge that European waters were too cold to promote spawning. However due to increasing sea temperatures the Pacific oyster now spawns regularly and dense impenetrable reefs have colonised intertidal areas outside of aquaculture sites. The primary aims of this project is to assess the impact of wild Pacific oyster settlement on invertebrate communities and over-wintering bird populations on different habitats and develop an Individual Based Model. 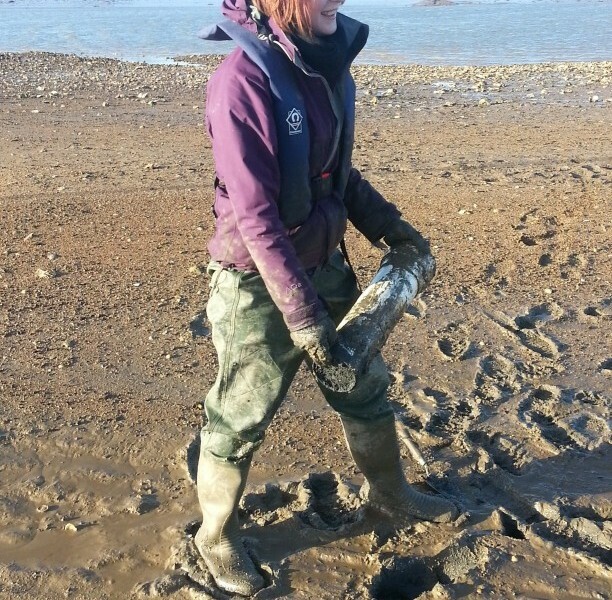 My research focuses on the South-East of England on the mud-flats of the Blackwater estuary and the chalk reefs of the Kent coast, as these sites are, to the best of our knowledge, the most densely colonised areas in the UK. Investigate the impact of Pacific oysters on invertebrate communities on both soft sediment and rocky shores. An analysis of bird feeding behaviour in areas colonised and not colonised by Pacific oysters. Review current management and eradication trials of wild Pacific oysters. Review ecosystem services associated with Pacific oysters e.g. aquaculture, food provision and tourism.